March 28, 2011, Greencastle, Ind. — "Combine Brad Stevens (34 years old) and Shaka Smart (33 years old), and they still haven't lived as long as Jim Calhoun (68 years old), whose head-coaching career started in 1972 -- four years before Stevens was born and three years before Smart was born," writes CBS Sports.com's Gary Parrish in a look at this year's Final Four coaches. 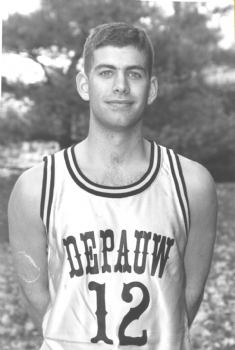 "When Calhoun won the 1999 NCAA tournament, Stevens was a point guard at DePauw and Smart was a point guard at Kenyon College. Stevens and Smart have been head coaches for six combined seasons. Meantime, [John] Calipari (52 years old) was the head coach at UMass for eight seasons and Memphis for nine seasons. In between, he spent four years in the NBA -- three as the head coach of the Nets and one as an assistant with the Sixers." He picks Butler to win the national championship, noting the Bulldogs have "a brilliant coach (Stevens) and a roster of players willing to commit on both ends of the court to doing whatever must be done to achieve success. That the Bulldogs don't rattle is another important quality. They've trailed in the second half of three of their four games in this NCAA tournament. Never once did it seem to matter." Butler plays Virginia Commonwealth on Saturday; the winner will advance to next Monday's national championship game. Access Parrish's complete column here. On April 13, 2010, Stevens returned to his alma mater to deliver the Robert C. McDermond Lecture. Also available is an online profile of Brad Stevens.